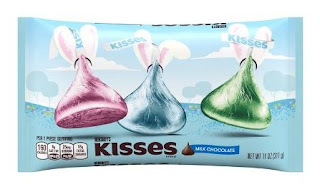 Target is offering discounts on Easter Candy - which I love the idea of stocking up on the HERSHEY'S KISSES Easter Milk Chocolates to use at Baby Showers or Gender Reveals etc. Head over and browse your favorites. Plus receive and Extra 5% Off with you Target REDcard and Free Shipping with $25.